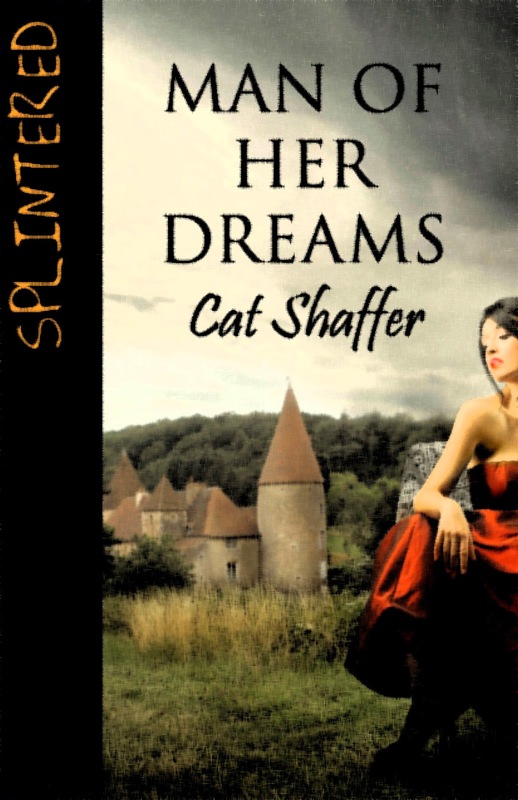 Today Cat Shaffer, author of Man of her Dreams, visits here at Life, Unedited. 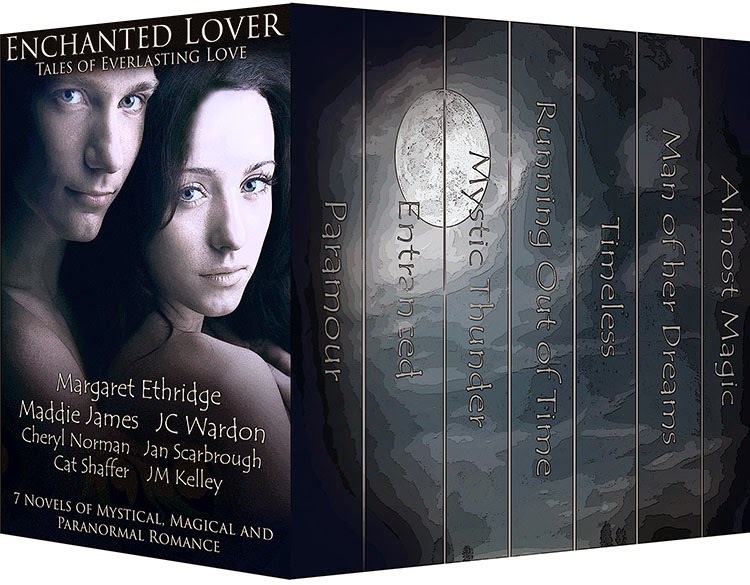 Man of her Dreams is one of the featured books in the Enchanted Lover boxed set, now available for a promotional price of 99 cents! I love unexpected gifts. I’m sure everyone is excited by a surprise delivery of fresh flowers or a piece of jewelry that is absolutely perfect. Most of us, I figure, know the person who sent them. But what would it be like to receive presents from an absolute stranger? And then discover the stranger is the man who’s occupied your dreams for years? That’s what happens to Jessica Flint in “Man of Her Dreams,” part of the new Enchanted Lover set. Actually, that’s only a tiny bit of what happens to poor Jessi when she goes back to her small Michigan hometown. The town is fictional but it’s built of bits and pieces from my past. I have had the great fortune to have been raised in a small farming community and lived or worked in small towns most of my life. What some people might see as dull or sleepy I consider a great place to hang around. I spent the last two weekends in two different small towns enjoying their festivals. Yeah, there were funnel cakes and overpriced lemonade shake-ups but that’s not why I go every year. I love the chance to visit with people I haven’t seen for a while, pick up neat little craft items and enjoy the things that make the festivals so different even they’re only a few miles apart. Like the skillet toss at one. Yes, people take turns tossing cast iron skillets to see which one travels the farthest. Or the other’s punkin chunkin where children toss little pumpkins at a target painted on the street. Sometimes I set up my table and meet readers at these festivals. Other times I help with community projects like grilling up burgers for my Lions Club as I did earlier this month. It’s amazing how many people call my name as they come to purchase one, just wanting to say howdy. Living in a city has separated Jessi from the quirks and qualities of the small town that nurtured her. Going home – despite being forced to go to her class reunion beyond her will, being trapped in a bridesmaid’s dress that defies description and falling for the stranger/fiancé she found waiting at the airport with her mother – throws her back into the organized chaos of being surrounded by people who love her. Okay, I’ve never been forced to go to a class reunion. Or being trapped in a maid of honor dress that absolutely defies description. And I have never found myself falling in love with a man I’ve dreamed about all my life but never believed actually existed – and who may actually have been conjured up courtesy of her eccentric office assistant. I hope you’ll join Jessi on her trip back home and the roller coaster of a love that spans the centuries. Cat Shaffer, the daughter of a poet and a teacher/librarian, grew up in northwest Ohio, finally saw the light and moved to Kentucky, the land of beautiful horses and far better weather. She lives with a dignified but ultra-sneaky cat, and could not continue to live if coffee disappeared from the planet. 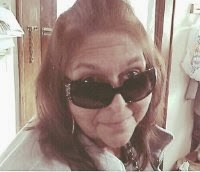 Check out her website at www.catshaffer.com. Don't forget to sign up for our giveaway!